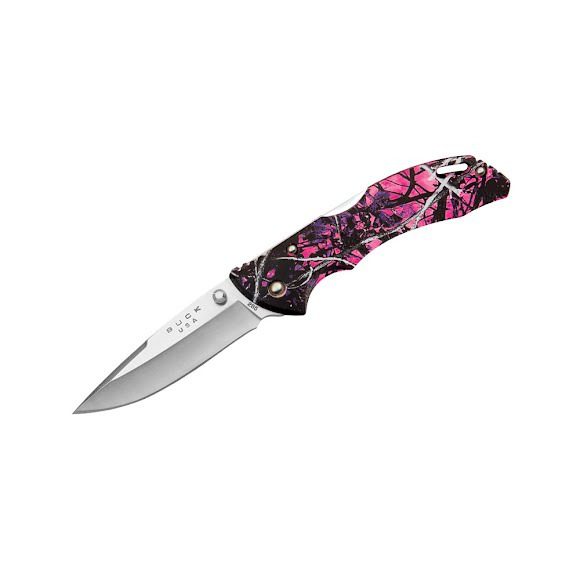 The sleek, lightweight Bantam by Buck Knives was designed to meet any personality and priced to meet every wallet size. From the tip of the blade to the wide sloping edge, these knives are perfect for outdoor tasks. Lightweight, safe and affordable, the Bantamâ€™s feature a stylish handle with textured surface for added grip. The sleek, lightweight Bantam by Buck Knives was designed to meet any personality and priced to meet every wallet size. From the tip of the blade to the wide sloping edge, these knives are perfect for outdoor tasks. Lightweight, safe and affordable, the Bantamâ€™s feature a stylish handle with textured surface for added grip. Features such as thumb studs on both sides of the blade and a mid-lock back location allow for easy one hand opening and smooth closing. The contoured handle makes this knife easy and safe to use in the woods or for daily tasks. Features a stainless steel pocket clip that can be removed for pocket carry. Length 4 3/8&apos; closed. The Bantam line of knives is offered in several different handle patterns and sizes to meet your needs. This is Buck&apos;s standard blade material because it approaches the wear resistance of high carbon alloys while delivering the corrosion resistance of chromium stainless steels. Add our exclusive heat-treat process and you have a very user-friendly combination of superior corrosion resistance with excellent strength for wear resistance and durability. You also have a blade that is easy to resharpen. For best performance we harden to a Rockwell hardness of Rc 58.